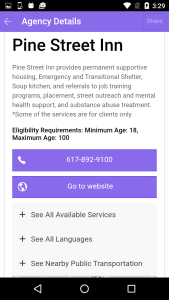 For over ten years, HelpSteps has been helping the people of Greater Boston find the social services they need. Working at Boston Children’s Hospital and in close partnership with the Boston Public Health Commission, the HelpSteps team has created and maintained a database of over 1,000 non-profit agencies in the area. 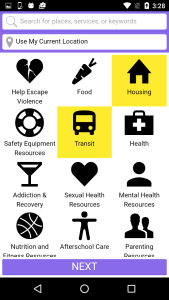 From affordable food and housing, to mental health, to transitional health care, HelpSteps strives to be a comprehensive resource for helping people get the help they need. Over 5,000 individuals and family receive assistance from HelpSteps every year and the Mayor’s Health Line at the Boston Public Health Commission uses HelpSteps as their backbone referral system. 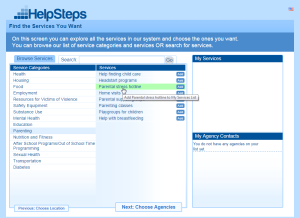 Recently, HelpSteps has been working with the Open Referral initiative. (See our post from last year here.) By standardizing the way that social services information is stored and shared, the team has positioned itself to work more closely with related organizations. The use of Code for America’s open-source Ohana API has been especially beneficial, allowing Helpteps to share the social services data it collects and develop new tools that leverage this new open standard. It is their hope that collaborating in this way will allow people in the community to more easily reap the benefits of each other’s work. In a field known for needing to stretch financial resources, this is critically important. 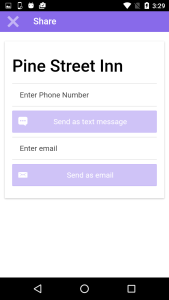 Perhaps the greatest benefit of this approach can be seen in HelpSteps’ new, open source mobile app. Available today for iOS and Android, and also on Github here, this app marks a significant leap forward in portability, usability, and design. Incorporating user research and input from user experience specialists, the new design strives to be as simple to use as possible, so that a user can quickly find what’s most important to them with only a few taps. It’s worth noting that using the Ohana API made this process especially easy. HelpSteps’ previous system worked well in certain situations, but was not set up to quickly power new software projects. With Ohana, this whole process is much simpler. 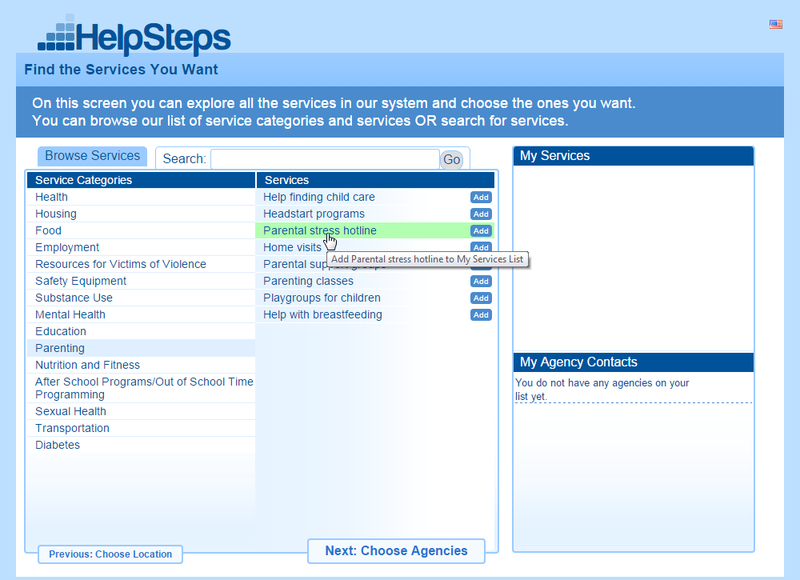 Going forward, HelpSteps’ number one priority is getting its social services data to the people that need it. Whether it’s through the mobile app or expansion of the API, HelpSteps’ data will be readily available for all. The team’s next focus will be continued development of the Ohana API, specifically adapting the API to power the HelpSteps website. In making this adaptation, HelpSteps has begun to make the API more powerful. It is now possible to do things like tag services–think “search for gyms, but only ones that have pools”–and find clusters of useful services, instead of just one at a time. Code for Boston will be a partner in some of these efforts. It’s important for people to know that HelpSteps is dedicated to working with all people who have a stake in this type of information. Want to get early access to the API as a beta tester? Want to see your city’s agencies in our system for no cost? Please contact us! We can be reached at info@helpsteps.com as well as on Twitter (@HelpSteps) and Facebook. Blog API, boston, implementation. permalink.